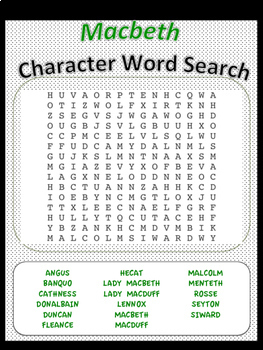 Look no further for a great word search featuring the characters of Macbeth! 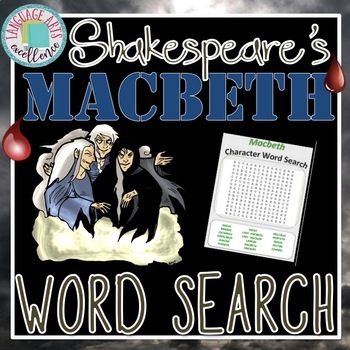 This product can be used as a character review for a quiz or test, homework, a flex activity, or even a substitute plan. Kids love puzzles and word searches are a great way to improve spelling while having fun.